Guy Fieri caught it all. By Kyle Scott Clauss·	 2/6/2017, 9:40 a.m. Odds are, you’ll always remember where you were when Tom Brady marched down the field in overtime to earn his fifth ring in Super Bowl LI. For President Donald Trump and Patriots Day actor Mark Wahlberg, the memory could be a bit hazy. The two men, whose Patriots fandom is no secret, called it a night early. With the Falcons up 28-3 in the third quarter, Trump left his own Super Bowl watch party at the Trump International Golf Club at 8:57 p.m., per pool reports. Some pal! Trump, whose close friendship with Patriots owner Bob Kraft, head coach Bill Belichick, and Brady launched a thousand think-pieces and aroused a great deal of existential dread in New England fans, tweeted to congratulate his team after the comeback was complete. 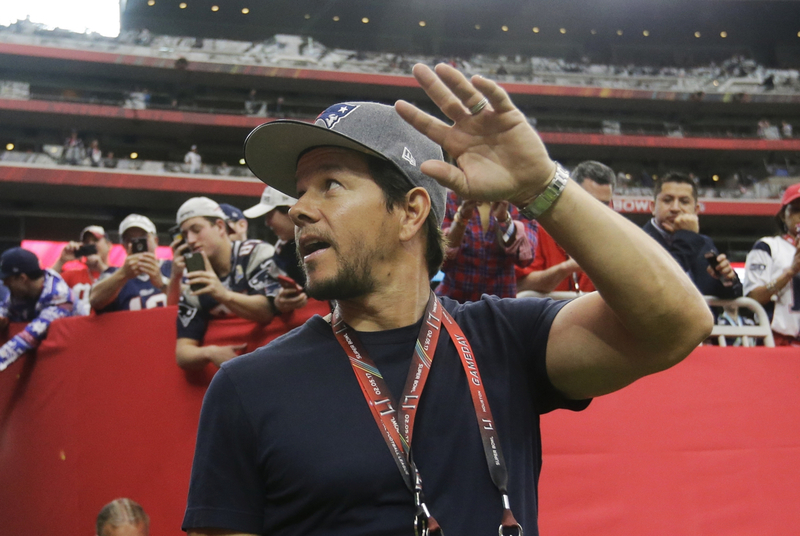 Wahlberg was spotted leaving NRG Stadium in Houston with his two kids just before James White’s game-winning touchdown. As the folks at Sports Illustrated have calculated, that’s about 15 minutes before Julian Edelman’s improbable, David Tyree-negating catch. But you know who was firmly planted in their commemorative seat for the entire spectacle?